An awesome Power School feature was discovered the other day by one of the Power School trainers at Tuckahoe Middle School. 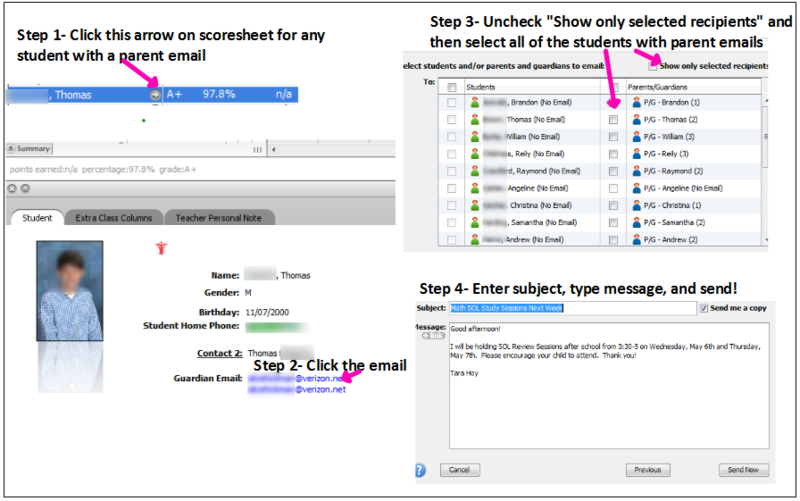 This feature allows a teacher to send a mass email to the parents of all of the students listed in their gradebook. This might be helpful when sending out friendly reminders about class events or to inform them of the up and coming SOL's. Below is a screenshot illustrating the step by step process.